Be bold. Be seen. Be heard. Grow your business. Let’s build something amazing together! 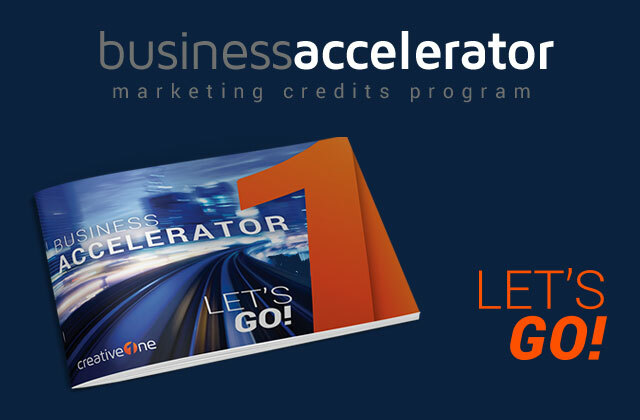 CreativeOne is excited about our new credits program, Business Accelerator! It delivers on the principles of purpose, persistence and prosperity. We reward your everyday premium production with account credits. 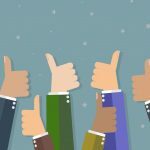 The more annuity and life insurance premiums you generate, beginning at $500,000 quarterly, the more credits you receive to help offset your marketing expenses. 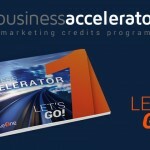 To get all the details on Business Accelerator, download our one-page flier at www.agents.creativeone.com/accelerator or contact your CreativeOne team today at 800.992.2642. 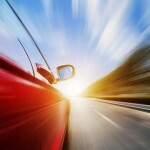 Ready to exceed your goals? Let’s GO! Some of these programs are exclusive offers through CreativeOne’s Dynamic Marketing Portal to third-party vendors and are only available to agents who are contracted with CreativeOne. CreativeOne is not responsible for the results of the program or any liability stemming from the use of it. Although we may promote and/or recommend the services offered by these companies, agents are ultimately responsible for the use of any materials or services and agree to comply with the compliance requirements of their broker/dealer and registered investment adviser, (if applicable), and the insurance carriers they represent. Broker-Dealer and Registered Investment Advisory services provided by Client One Securities LLC. Member FINRA/SIPC. Client One Securities LLC is a wholly owned subsidiary of CreativeOne.